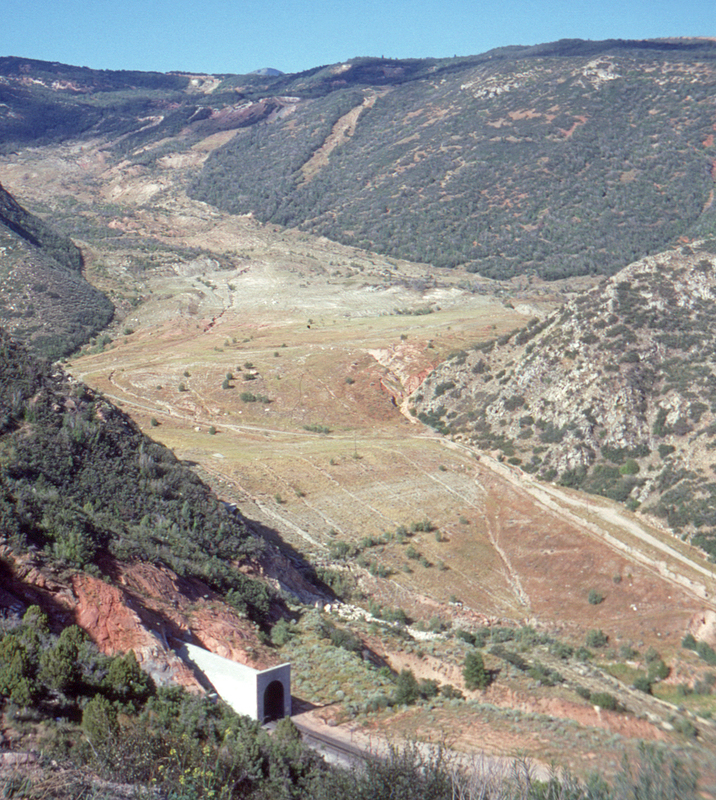 Here one can see the radical restructuring of Spanish Fork Canyon by the massive 1983 landslide (sometimes referred to as a "mudslide"). The new mainline is at the lower left; the old grade is somewhere below the now-solidified mud. A special tunnel had to be constructed for the Spanish Fork River.